How Reliance Digital Store Can Play A Significant Role In Buying A Laptop Offline(ft. Acer E5-573). Computers were born to make our lives easier, just tap in the required command and your work gets done at a 10x Rate or sometimes within a matter of seconds. Then Laptops were born, These things had the horsepower of a computer & had the flexibility of being mobile. You can easily carry it around to continue your work, which you had left behind in the office. This has immensely increased productivity, may that be among professionals or college students. Let's say if students are deployed a work by their college officials; They can merely showcase it in their class without the need of any projector. As you don't need to perform the old school way of displaying your slideshows, which mostly crash because of the incompatibility of the MS Office. So Laptops play a significant role in increasing productivity thus introducing creativity among young students. Hence today I'm going to share few interesting things about how an Acer E5-573 Laptop can help you excel in this field having more chances of success rate & how Reliance Digital Store can be a perfect platform to buy it. It has a 3rd Gen Intel Core i5-5200 processor clocked at 2.2gHz at its core which is boosted by 8GB DDR3 RAM that houses a dual channel bandwidth. Powering that processor is the beefy, 1GB/2GB NVIDIA GeForce 64-bit graphics card clocked at 1000mHz with 1072-1176 mHz cores housing ForceWare 353.30 standards. It has a gorgeous 15.6 inch(1366x768) display having 16:9 aspect ratio. It is a Chi Mei N156BGE-E32 LED display, which isn't a glossy panel. The main motherboard consists of Intel Broadwell-U PCH-LP, which is one of the finest boards available at this price range. Regarding the storage, it has a 1TB of Seagate ST500LM000 Solid State Hybrid Drive available which focuses 5400rpm on 500GB, While the rest 420GB is operated at normal speed. It weighs about 2.4 Kg(nearly 5.29 pounds), Whereas the power brick supplied with box weighs about 338 g(approximately 0.75 pounds). It runs on Windows operating system at its core and comes with Windows 10 operating system compatibility. 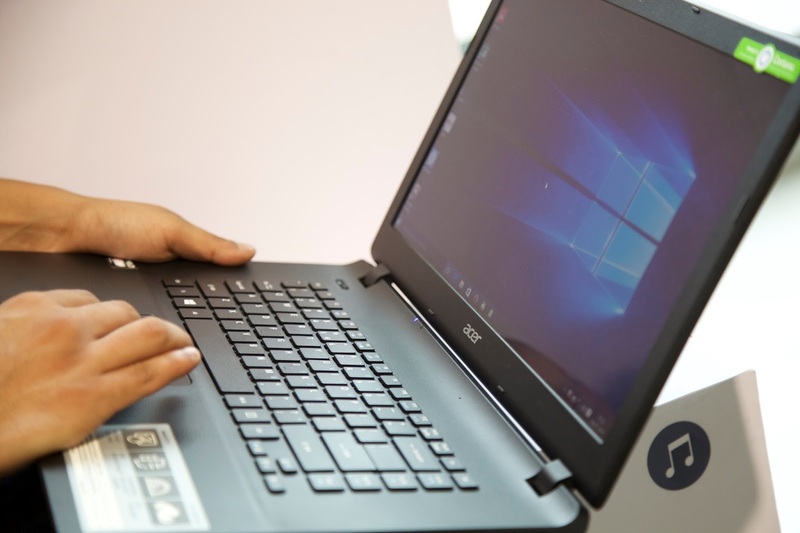 Lastly, Acer provides One year of warranty on their laptop if you face any problem with the device just send it to the service center, and you can be worry free. It retails for a price of Rs.37990, But you can currently avail huge discounts on this product via Reliance Digital store, which we will get onto in a bit. These set of Specifications are more than enough to serve your everyday needs while using a computer. If you're a Photoshop expert, Adobe After Effects user or even a coral draw user this raw power of the hardware integration at the Laptop's core won't disappoint you at all. Windows 10 serves properly onto this machine as it doesn't require lot's of horsepower to function properly, It even works on low-end devices. Just consider how it would perform on this device, One word - Clean. So how can you be benefited from the Reliance Digital store offer? Well the actual Acer E5-573 laptop retails at a price of Rs.37990, but you don't get any other essential accessories rather than the bunch of china products as a gift. But when you opt in at any Reliance Digital Store for the same product which is the Acer E5-573, you are eligible for getting so much more. This same laptop can be bought for Rs. 36,499 with which you're also offered a freebie of either a Philips Sound Bar or HP's Wi-Fi printer each worth Rs.5995 for free. Anyone of these good freebies could provide a lot regarding services working as an extension to your laptop. This can be a substantial extension to your existing audio setup, or it may serve better-equipped audio due to 2 channel output. All you need is a USB connector with which it can be easily connected to your PC. To be precise, the sound bar is also named as Philips SPA75B/94 Sound Bar. Since everyone knows how a WiFi connection works, Just fire up your Wi-Fi and select the Wireless printer in network connections & you're connected. This printer is an all-in-one solution for printing, scanning and copying documents with easy to use functions. 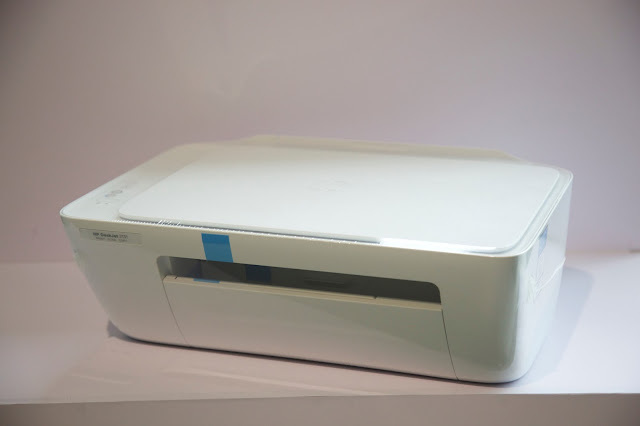 Apart from being an all in one solution, this Wi-Fi printer is also compact. It is capable of producing faster prints. Both of these freebies are an excellent choice offered by the Reliance Digital store & it's going to be a tough call for many users to go for. Because both the Speaker and Printer provide high functionality given the price tag. So choosing Reliance Digital store over the conventional stores might serve as one of the great choices for any user as you're getting up to Rs. 7500 as a cashback(Rs.1500 less in store + Rs.6000 worth speaker or printer). This can be an actual value for money, and I'm pretty sure that every customer would drool over this offer. Apart from this offer, The Reliance Digital Store also offers EMI options & great benefits on Exchange offers. It's like a cherry on the top of the cake. So if you're interested in buying the Acer E5-573 Laptop or any other products, why not consider Reliance Digital store as your go-to option for your electronics shopping needs?. Whereas while you're here, Why don't you share this with your friends and family?. Let them know about such impressive deals offered by Reliance Digital store nearby them. Tell me in the comments below what are your thoughts about this; I would be happy to know. Also See: Is Reliance LYF Earth 2 worth it?